Amritsar is known for the famous Sikh pilgrimage site Golden temple, and thousands of tourists visit this city every day. The city has many attractions like Durgaina temple, Jallianwala Bagh, Fort Gobindgarh, Wagah Border, Company Bagh, Ram Teerth and more. Amritsar is also known for Amritsari kulcha, lassi, poori, and mithai. 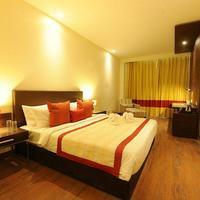 To book the best hotels in Amritsar that give cozy comfort at good price Cleartrip is the right travel site. 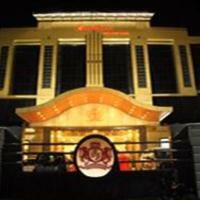 If you are also planning to visit Amritsar then book Amritsar hotels on Cleartrip in advance for a pleasant stay. 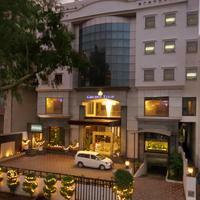 Top Amritsar hotels are well known for cleanliness, delicious food, and other amazing facilities. You can book hotels in Amritsar nearer to the railway station, bus stand or in Basant Avenue, Cooper Road, Court Road or City Centre on Cleartrip. You can also book hotel near the Golden Temple if temple visit is your main goal of visiting the city. 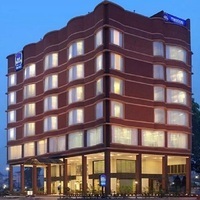 You can find various hotels in Amritsar on Cleartrip, which you can book as per your choice, comfort, and budget. There are 2-star, 3-star, 4-star and 5-star hotels that you can choose as per your budget. Home stays and boutique hotels are also available. 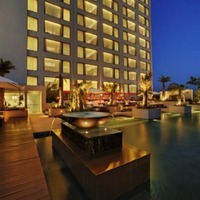 Hotel booking is very easy with Cleartrip. Simply browse the hotels as per your needs and budget, shortlist a few hotels, compare them and make a final choice. Budget is very important, so do check the price and see if it offers value for money. You can pay online or even choose to pay at hotel for convenience. The Amritsar city was founded by Guru Ram Das in 1574 and was called Ramdaspur. It is not only the home of lakhs of Sikhs but also a chief pilgrimage destination of Sikhs both in India and those living abroad. The city is popularly known as the ‘Holy City’ and ‘Golden City’ after the world-famous Harmandir Sahib, also known as the Golden Temple. Golden temple is also the cultural and spiritual centre of the Sikhs and visited by about one lakh people every day. When Maharaja Ranjit Singh took over Punjab in the early nineteenth century, he covered it with gold giving it a striking look. 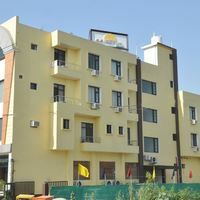 If you are planning to visit Amritsar, then you can easily book hotels in Amritsar at Cleartrip. 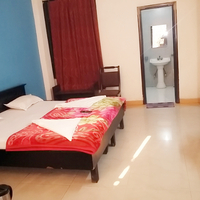 We have a complete listing of all types of hotels in Amritsar, such as hotels with star rating, boutique hotels, home stays, hostels and guest houses. 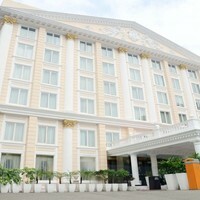 If you are looking for a budget hotel, you can consider guest houses or 2 and 3 star hotels. They offer all the basic amenities, neat interiors, TV, AC, and room service too. If you are looking for a luxurious stay, then you must check various 4-star and 5-star hotels in Amritsar or boutique hotels with high-end facilities like pool, bar, restaurant, gym and others. You can also choose to stay in a homestay, which is an accommodation for travellers in a residence. 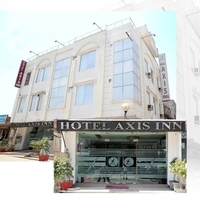 Location: Location is an important factor to be kept in mind when booking hotels in Amritsar. For example, you can book hotels near the Golden Temple or Mall Road depending on your preference. Season: It is mainly during the holiday seasons when the hotel in this city remains packed with tourists. Hence, one must book the hotel in advance in order to avoid the last minute chaos. Budget: Budget being a major factor, it is important to choose your hotel in Amritsar according to your budget Use the price filter on Cleartrip to see only those hotels that are within your budget. Luxury: If you don’t mind spending on accommodation and want a luxurious stay to make your Amritsar visit more memorable, go for a 4-star, 5-star or boutique hotel in Amritsar. Amritsar is a traditional Indian city and the Golden Temple is the most visited place here. Therefore, if you are planning to visit here, there are number of hotels located close to the temple. Taking an accommodation near the temple will be advantageous, as you would not miss the morning and evening prayers. It is ideal to book a hotel in close proximity to the Golden Temple, if temple visit is the main motto of your visit. Booking an accommodation on or near the Mall Road is better if you are on a leisure holiday to Amritsar. This is the prime area with shopping complexes and gives you a glimpse of modern Amritsar. Moreover, Mall Road is just 15 minutes from Harmandir Sahib. There are around 180 hotels in this city, and if you book your accommodation at least a week in advance, you can grab great deals at Cleartrip. The price (per room with 2 guests) starts from as low as 500 INR and goes up to 13,440 INR, per night. It is really not a big deal of concern on how to get down to Amritsar, as it is well-connected to other cities via different modes of transportation. The Amritsar International Airport connects the city to various Indian and international cities. The city is well-connected to all the major cities of the country via Northern Railway. From Delhi, you can take a Shatabdi Train and reach Amritsar in 6 hours. Moreover the city enjoys a smooth connectivity by road. A good number of inter-state buses (both government and private) run on a daily basis. You can easily reach Amritsar by taxi or private car from Delhi, Chandigarh, Jalandhar, Ludhiana, Patiala and many other places. the most important place of worship for Sikhs. also known as Sitla Mandir. where daily closing ceremony is held in the evening. commemorates more than 2000 Indians killed by the British army. the historic fort of Maharaja Ranjit Singh now open for public. , the birth place of Luv and Kush. that offers glimpse of Punjab's history, heritage and culture. Amritsar is a cultural city known for folk culture, bhangra and gidda folk dance, Punjabi literature and is aptly called the mukut-mani meaning "Jewel of the crown" of the Punjab. : Amritsar is famous for ladies suits, phulkari dupatta, and Punjabi joottis. You must surely visit popular markets like Katra Jaimal Singh, Guru Bazaar, Hall Bazaar, Lawrence Road, Old city Bazaar, Kapda market apart from Trillium Mall and Mall of Amritsar. : Amritsar is famous for Amritsari Kulcha, Sweet Lassi, Amritsari Fish, Sarso ka Saag with Makki ki Roti, and desi-ghee mithais. Visited by millions of devotees every year, it is 257 km from Amritsar. : This popular hill station in HP is approximately 295 km from Amritsar by road. : It is India’s first planned city which is 237km from Amritsar. : A very famous hill station in Himachal 208 km from Amritsar. : It is 274kms from Amritsar, and is known for its heavenly beauty. The city experiences a semi-arid climate. The summer season from April to June is extremely hot, and the temperature rises to 45 degree Celsius. The city also receives moderate rainfall from July to September, which provides a lot of relief from the scorching heat. Winters are extremely cold here with temperature between 10 and 2-degree Celsius. The climate is pleasant and ideal for sightseeing. Summers are very hot and dry in Amritsar. However, the evenings are pleasant. There are tourists due to summer vacations in schools. It is at this time when there is rainfall. The tourists are comparatively less and hotels are cheapest during this time. Exhibition of various kinds of mangoes is organized every year. It is a two to three day mela where the farmers are encouraged to adopt the latest technology to increase their production. It is celebrated with great enthusiasm with a lot of bhangra dance, folk music and fairs. It coincides with the festival of Holi and is marked by week long festivities. It is mainly carried on to inculcate martial spirit. The best time to visit Amritsar is between November and March during winter season because winters bring out the lively side of Amritsar. Since monsoons are humid and summers are very hot, one should avoid visiting the city during these two seasons. Which are the top 5 must visit places in Amritsar? 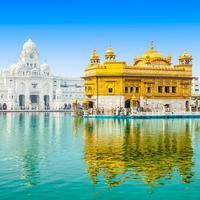 Golden Temple, Jallianwala Bagh, Wagah Border, Tarn Taran and Durgiana Temple are the top 5 places to visit in Amritsar. How can I get attractive discounts on hotels in Amritsar? One can go through the online travel sites like Cleartrip, where all types of hotels in Amritsar are available. You can also use a valid coupon code to avail the best deal. Also, price comparison is essential before making the final booking. Can unmarried couples stay in hotels in Amritsar? You may find some hotels in Amritsar where unmarried couples can stay. However, it may be objectionable in many reputable hotels. Do carry a valid ID proof in case of any sort of questioning. ID proof is also needed at the time of checking in. How can I find hotels near Golden Temple? You can easily find hotels near Golden Temple on Cleartrip by entering Golden Temple, Amritsar in the Where field on the Hotels Page. The list of hotels located near the Golden Temple will be displayed. 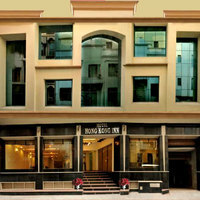 You can also check out boutique hotels near Golden Temple and homestays near Golden Temple . How do I book hotels in Amritsar near railway station? Go to hotels near railway station page on Cleartrip and choose the one from the available options as per your need and budget. Do Amritsar hotels offer Wi-Fi facility? Most high-end hotels in Amritsar offer this facility. 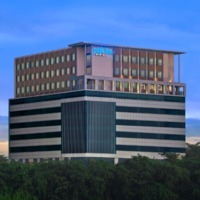 You can check the hotel details on Cleartrip to know about the facilities they offer. However, one should also ask at the reception before booking. What can I buy from Amritsar? You can buy ladies suits and dress material, Punjabi jooti, pagri / turban fabric, woollen items, Amritsari papad and wadiyan (food items), jewellery, religious items like kirpan, rumala, and more. Can you tell, which are the popular pubs in Amritsar? Some of the most visited and popular bars in Amritsar are Peddlers Amritsar, F Bar, Stars ‘N’ Bars, The Lounge Bar, Irish Beach and so on. These are the best places to party at night in Amritsar. Can you list the top 5 shopping markets in Amritsar? There are many sightseeing spots in the holy city of Amritsar such as Golden Temple, Jallianwala Bagh, Wagah Border, Tarn Taran, Gobindgarh Fort, Durgiana Temple, Maharaja Ranjit Singh Museum, Punjab State War Heroes Memorial & Museum and more. What are some must do things in Amritsar? From city sightseeing to lip-smacking Punjabi food, this holy city has always been popular for its food and culture. Shopping, biking are few things to do in Amritsar . Suggest a few top party places in Amritsar? Apart from some midrange and top-end hotels, there are very few pubs and cafes in Amritsar. You can hang-out with your friends and party at restaurants, pubs and cafes but the options are very limited. One has to choose between Peddlers Amritsar, F Bar, Stars ‘N’ Bars, The Lounge Bar, Irish Beach and a couple of more. What activities and experiences can I enjoy in Amritsar? You can go for cycling, visit water park, etc. explore the rich culture of Amritsar through Hop-on Hop-off bus tours, city tours, food and heritage walk and you can embark on a day out at resort as well. You can also spend a day at the Golden Temple. How to book a room for international guests near International Airport Amritsar? Go to the Amritsar Hotels page on Cleartrip Hotels Page, and select International Airport from the Locality dropdown. Select the hotel from the list of options and book it for international guests. From where can I book a good resort for a day outing in Amritsar? Spend time with your loved one and go for a Day outing at a resort in Amritsar . Cleartrip offers amazing resort day outing options in Amritsar with hassle-free booking. Can you name some 5-star hotels in Amritsar? 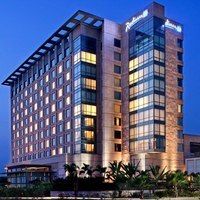 Radisson Blue, Taj Swarna Amritsar and Hyatt Amritsar are few 5-star hotels in Amritsar. Book accommodation through Cleartrip and get instant cashback per booking. Can you list some hotels in North Amritsar? In North Amritsar, Hotel Abode, Hotel Singh International, HK Clarks Inn, The Fern Residency and Golden Tulip are few top options. For more details, you can choose North Amritsar from the ‘Hotels By Region’ drop-down Amritsar Hotels page on Cleartrip. Can you name some boutique hotels in Amritsar? 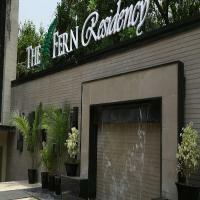 The Fern Residency, Hotel Palace Amritsar, Park Inn by Radisson, Ramada Amritsar, Hotel Abode are some boutique hotels in Amritsar . What are the top hotels to stay at Amritsar? 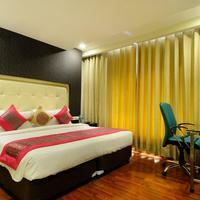 Looking for luxury hotels in Amritsar for a comfortable stay? The options are Radisson Blue, Taj Swarna Amritsar, Golden Tulip, Holiday Inn Ranjit Avenue, Park Inn and Ramada Amritsar. How far is Golden Temple Amritsar from Wagah Border? Travel time between Golden Temple and Wagah Border is 31 km, and it takes about an hour to cover the distance. Which are the best places to eat in Amritsar? Since Amritsar is also known as the culinary capital of India, the best places to eat are Guru Ka Langar, Bharawan Da Dhaba, Pal Da Dhaba, Kesar Da Dhaba, Beera Chicken Corner, La Roma Pizzeria and many more. What are the top places of interest in Amritsar? Golden Temple, Durgiana Temple, Jallianwala Bagh, Wagah Border, Chand Baori, Maharaja Ranjit Singh Museum, Tarn Taran, Akal Takht, Govind Garh Fort, War Memorial and Company Garden are a few top places of interest in Amritsar. Can you tell me about some homestays in Amritsar? There are not many homestays in Amristar apart from Shine Star BNB homestay. For more details, you can visit Cleartrip website. Nightlife of Amritsar is quite static with a limited number of pubs and cafes. There are only a few restaurants and clubs which remain open till late night. Are there any homestays near Golden Temple? Is pool facility available at hotels in Amritsar? Yes, many hotels in Amristar offer this facility. 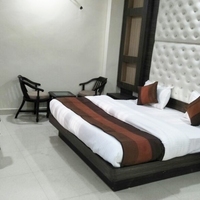 For more details on hotels with pool in Amristar, visit Cleartrip website and book the best hotel which meets your requirements and budget. Do hotels in Amritsar offer bar facility? Yes, there are many hotels which offer bar facility. Hotel MK International is one such hotel you can consider. 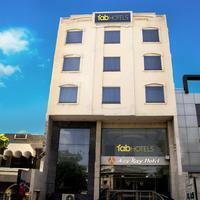 Check out more hotels in Amritsar with bar on Cleartrip. Where can I go for weekend getaways from Amritsar? From Amritsar, one can visit Dalhousie, Chandigarh, Dharamsala, Mcleodganj and many more places on weekend.